The dramatic speed of adoption of smartphones is making the fastest-growing marketing channel mobile; smart companies understand they need to be as mobile as their target audiences. The convenience and control that smartphones offer have clearly raised our expectations as users. Pharma is no exception; patients and healthcare professionals expect health apps that empower them with information and enable them to better understand and manage health issues. 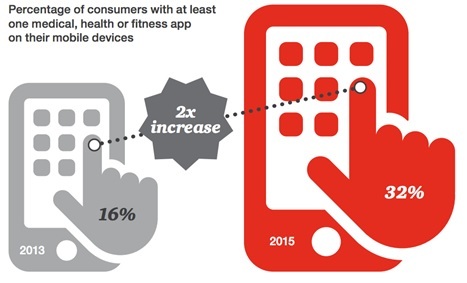 A survey conducted by PwC showed that mobile health app adoption doubled between 2013 and 2015, signalling clear potential for the healthcare industry. With mobiles apps, utility is king. Bearing in mind that only about 16% of people would try an app more than once, and up to 90% of downloaded apps are used only once then deleted, according to a study by Compuware, identifying users’ real requirements is key to the success of any mobile app. Pharma can act strategically by creating apps that are centered on patients’ daily needs and integrating them into the broader health ecosystem. Many indicators show that health apps can help patients with medication adherence and improve clinical trial efforts. However, fears of compliance risks in the highly regulated pharma industry are a major element slowing down innovation. Pharma companies must always assess their new apps to determine if regulators view them as medical devices, and what regulatory obligations this entails. 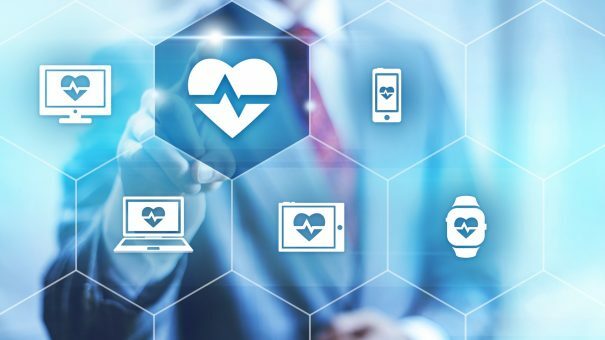 Those health-related apps considered to be medical devices are given the same close scrutiny as software that is intended to assist in diagnosing or treating an illness. To balance engagement and compliance, many pharma companies have launched non-promotional heath apps focusing on disease awareness and management. In the last few years there have been many noteworthy health apps sponsored by major players in the industry, balancing engagement and compliance with a non-promotional, patient-centric approach. For example, the Skin Peace app, sponsored by Bayer, helps patients to calculate appropriate topical medicine doses. The ViaOpta app, sponsored by Novartis, provides navigation for the visually impaired and is also available on Apple Watch. Eczema Care is another skin care app. Sponsored by Johnson & Johnson, it helps patients better understand and manage their eczema by allowing them to track flare-ups, log their daily eczema management activities and create customised reports they can share with their physician. This increasing adoption of mobile health apps presents a great opportunity for the pharma industry to truly empower patients and healthcare professionals, by providing apps that improve the ways they understand and manage disease. For this shift to happen, new capabilities must be developed to unleash the potential of digital innovation in the healthcare industry. “In most cases, app development or production is done on a tactical level without an overarching strategic plan, which sometimes results in short-lived apps that do not achieve the desired success. Launching digital awareness and training programmes can help us build digital capabilities and embed the digital mind-set in the business. It is encouraging to see the mindset shifting, despite the challenges, with some pharma giants investing in digital health startups, providing mentorships and grants to create and nurture networks of innovation incubators. These efforts, led by big players like Bayer and Janssen, will hopefully flourish in the near future. The hope is that such efforts will bring successful digital health solutions that support patient engagement, prevention, compliance, clinical trials and disease management, as they bring pharma experience and investment together with agile and innovative digital health startups. Christine K Jacob is a digital marketing and communications strategist with more than 13 years of experience in Fortune 100 organisations, where she held leading global, regional and local roles in both marketing and communications. 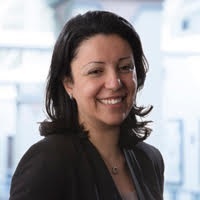 She founded her boutique agency Digi-Bridges to help her customers unleash the potential of creative and innovative digital media strategies, to successfully connect with their audiences in a noisy and fragmented digital landscape. Christine also teaches Marketing and Communications at the University of Applied Sciences Northwest Switzerland.